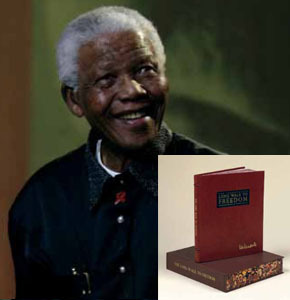 This leather-bound edition of the Illustrated Long Walk to Freedom is an Autobiography by Nelson Mandela, published by Little Brown Company in 1994 to celebrate the 85th birthday of Nelson Mandela on 18th July 2003. 250 out of a planned edition of 950 were produced. The Frontispiece is hand signed by Nelson Mandela in ink. This beautiful volume has been bound using the highest standards in traditional book binding methods. It is lavishly illustrated with 207 pages covering Mandela’s childhood in rural Africa, his move to Alexandra, a poor township of Johannesburg where he learned about poverty and developed confidence and self reliance. This highly collectible bestselling book comes in a lovely presentation box. Edition No. 247 of 950. 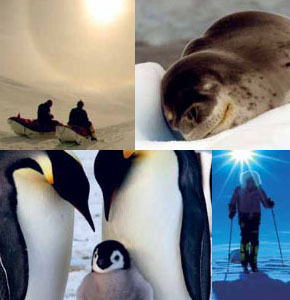 It is landscape unlike anywhere else on the planet so rarely visited, yet utterly beautiful.White Desert takes you into the interior of Antarctica in luxury and comfort. We take you to our beautifully designed and ecological camp set in one of the last great wildernesses on the planet.Our 10-day adventures are tailored to each individual client. With a maximum of ten clients on each trip and World Record breaking polar explorers as your guides, you will see, touch and experience a place that is unlike anything on earth. Our management team have skied over 16,000kms in the Polar Regions and as such, we understand what it takes to travel to such a pristine environment in both safety and style. Other kind donors include Mr. Mulham Alwani, of Standard Chartered Bank Dubai who generously contributed $2,440 at the event.